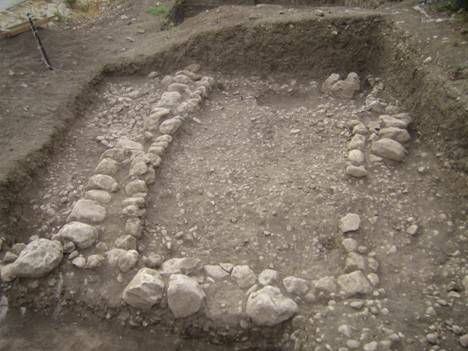 Executed in August and October of 2006, this salvage excavation represents the continuation of work conducted in 2005 by Gideon Suleimany of the Israel Antiquities Authority, in the wake of widening the road between Sha’ar HaGay and Bet Shemesh. The excavation was directed by Michael Freikman, a PhD student at Hebrew University. A total of 87.5 m2 were uncovered in a series of 5×5 m. squares and half-squares. Three phases of occupation were detected: two of the EBI (including architectural remains) and the lowest of the Pottery Neolithic (Yarmukian) including both flint and pottery remains.